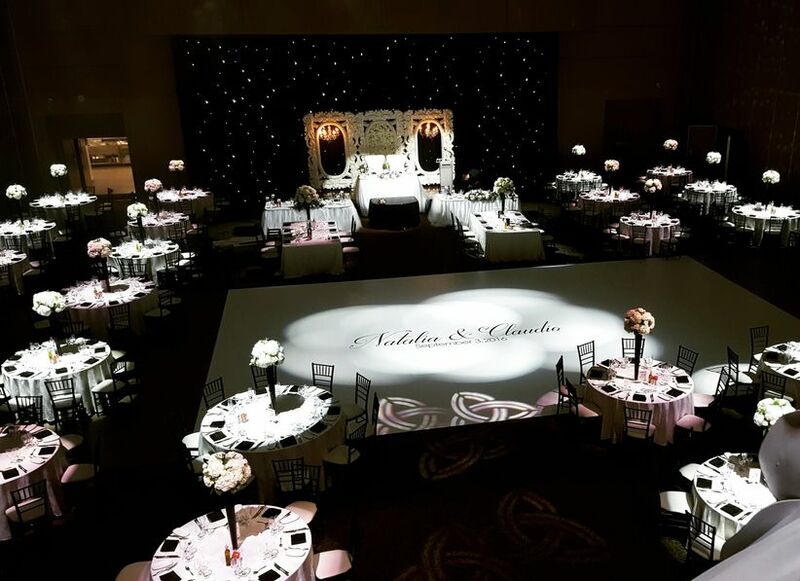 10 Things You Should Not Forget to Rent for Your Wedding | Wedding Ideas ARE YOU A VENDOR? 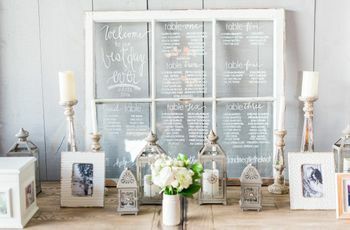 When it comes to wedding goods, renting is sometimes better than purchasing. Here’s a list of everything you should borrow instead of buy. Good news, you don’t have to buy absolutely everything for your big day. 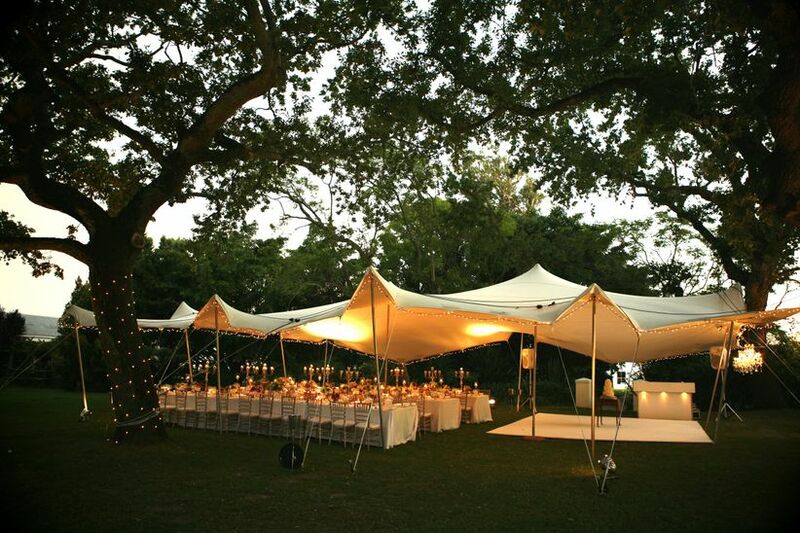 In fact, you can rent almost all of your decor items - from your tents to your wedding reception tables. 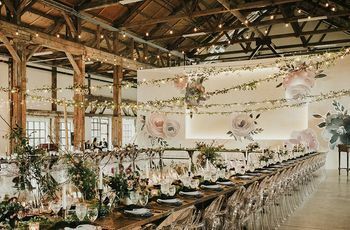 Not only will this save you from spending all your hard earned cash, but you won’t need to rent out a storage locker post-wedding to store your new chiavari chairs and centerpiece vessels (which is always a plus). 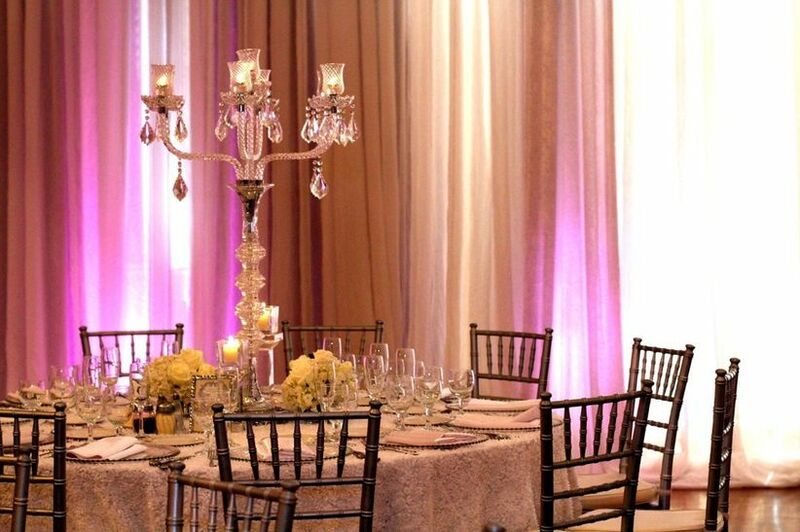 Here a few important things you should not forget to rent for your wedding. 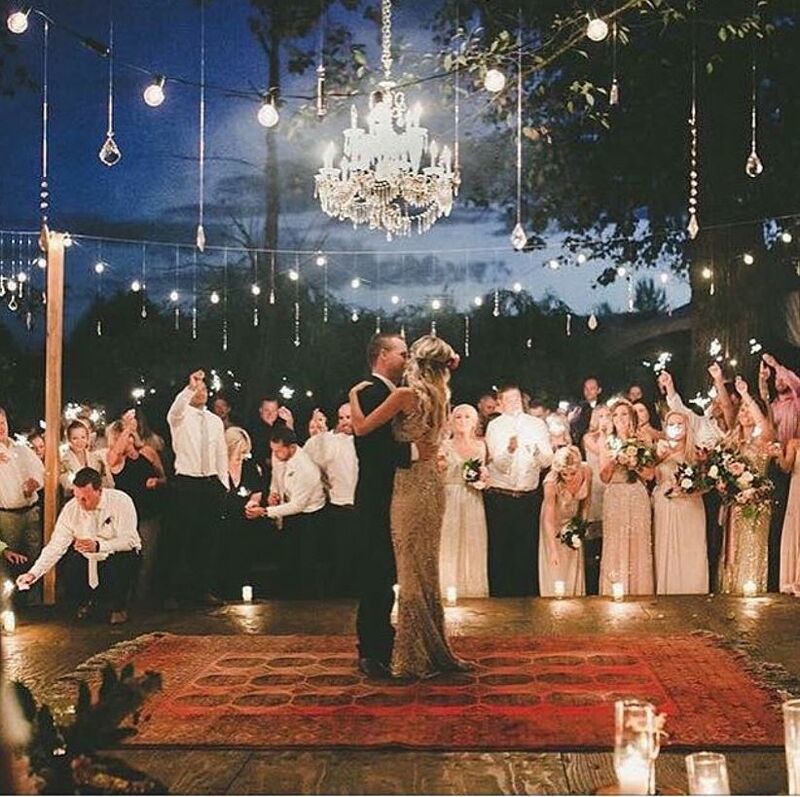 Having an outdoor ceremony or reception? Renting tents is a must. If the weather starts acting up, you and your guests will need a place to retreat to so that your suits and gowns don’t get soaked. And before you ask, yes, this still applies if the forecast calls for clear skies and sun (you never know when Mother Nature is going to act up). Don’t forget to invest in essentials like pole covers, gutters, clear sides and decorations, too. 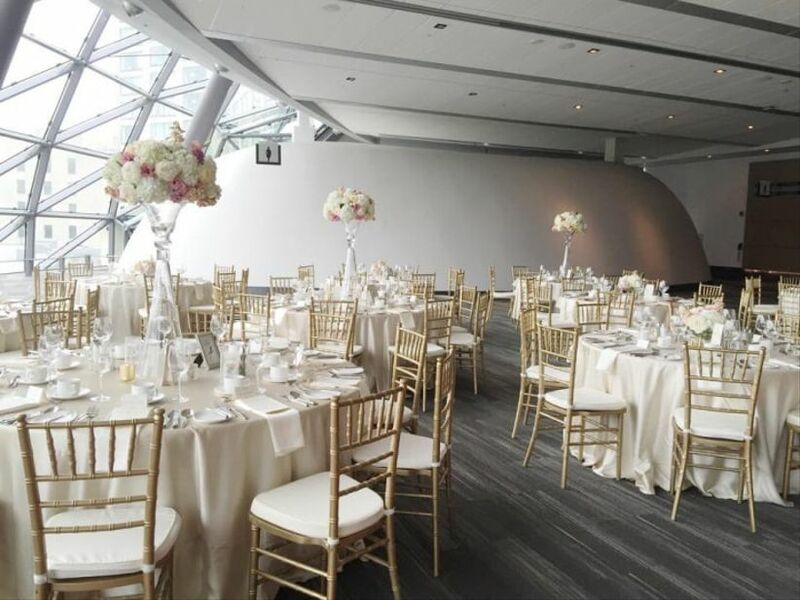 Picking out tables and chairs may not be the most fun part of planning your wedding, but it is necessary - after all, your guests are going to need somewhere to sit during your ceremony, cocktail hour and reception. 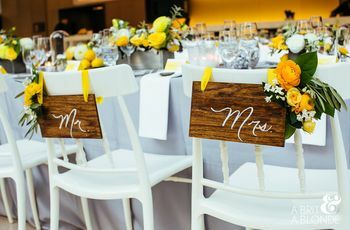 Tip: you may also need a few extra chairs for your vendors and musicians, as well as some additional tables to use for your welcome area, favours and food display. We recommend making a list and plotting everything out before calling up any rental companies. 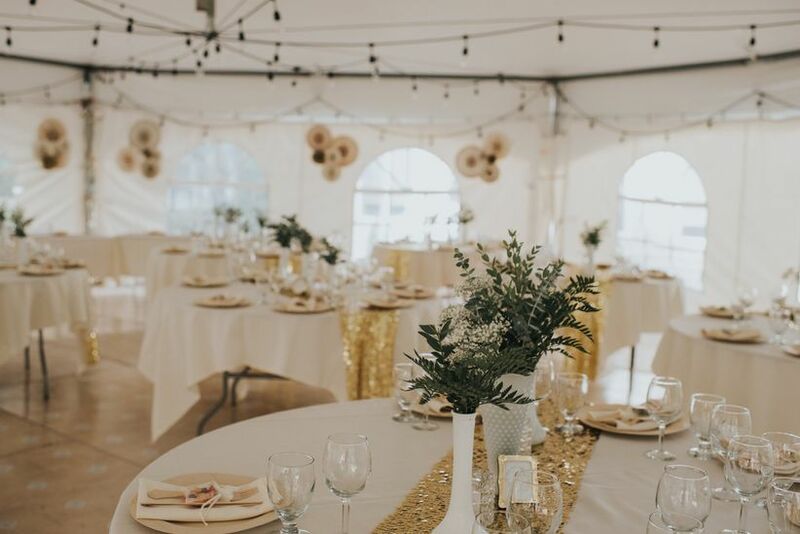 Unless you’re going for a really rustic look, you’re going to need to outfit your tables with linens (AKA tablecloths and napkins). 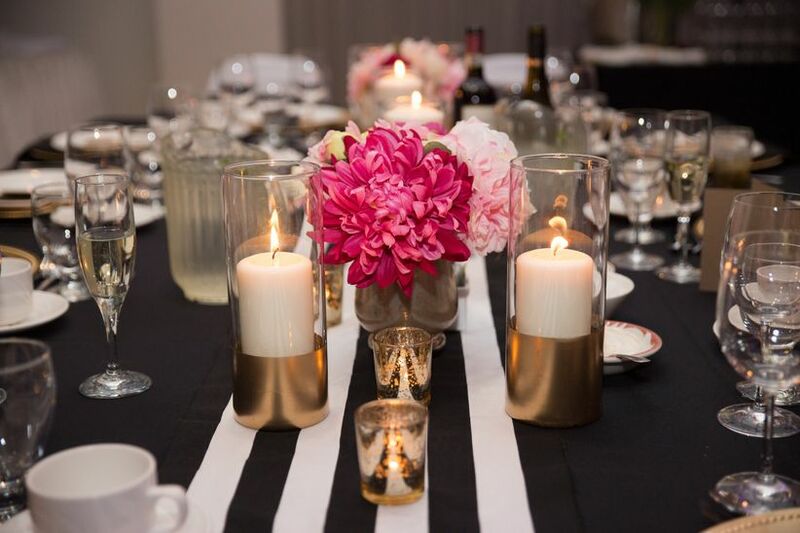 Find some in patterns and colours that match your wedding theme and colour scheme. 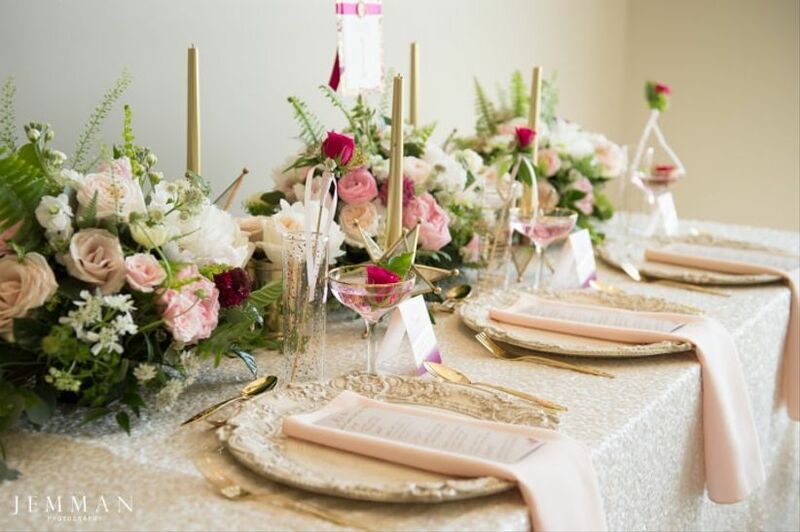 If nothing pops out at you, you can always go with neutrals and shine the spotlight on your place settings and centerpieces. What goes on top of those linens? Forks, spoons, plates, glasses, serving dishes and the like. Without these your guests probably won’t get very far through dinner. You’ll also want to make sure your bartender has all the tools they need to mix and serve some mean cocktails. Ask if they have their own set or if you need to get the equipment for them. 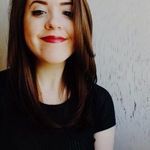 If you’ve booked a ballroom, you probably won’t need to invest in a dance floor, but some venues just aren’t equipped with them. If this is the case for you, you’ll need to place an order with a rental company. You have plenty of options to choose from (depending on your space) from traditional wood to plexiglass that can be placed over a pool. You can even decorate it with your wedding monogram. Remember to think about the size of your guest list when hunting for yours, you don’t want any of your friends or family members to miss out on the “YMCA”. 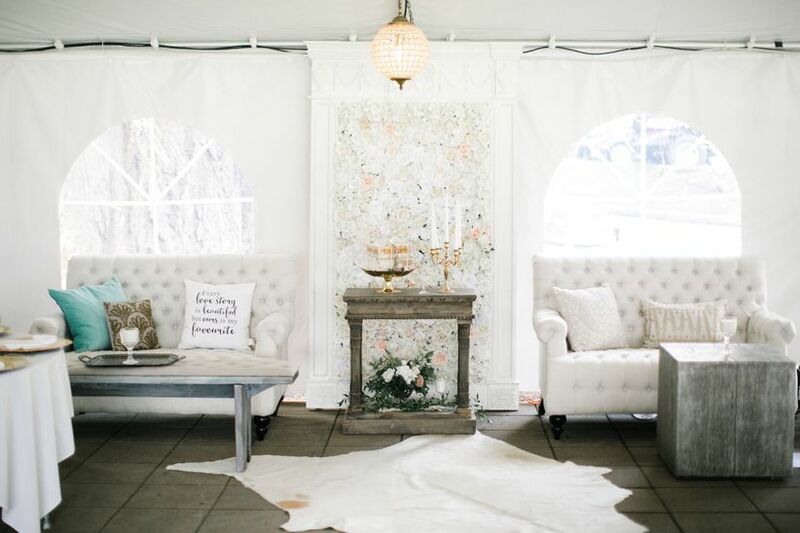 Your guests are going to need somewhere to rest their feet during the cocktail hour and reception (and they may want to get away from their tablemates for a little while). Rent a few couches, comfy chairs and pillows so that your guests can kick back on something plush for a few moments. Barns and backyards usually don’t have the same electrical power as city lofts or hotels. If you want to swath your rural venue with fairy lights, amp up your sound quality with massive speakers and throw in some fans or heaters, you’re probably going to need a generator. Don’t forget to factor in things like your caterer’s cooking equipment and your beauty squad’s styling tools. 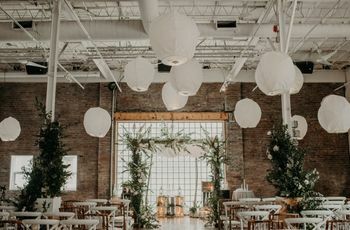 Speaking of electricity, you may also want to rent some fancy lights to illuminate your venue space. 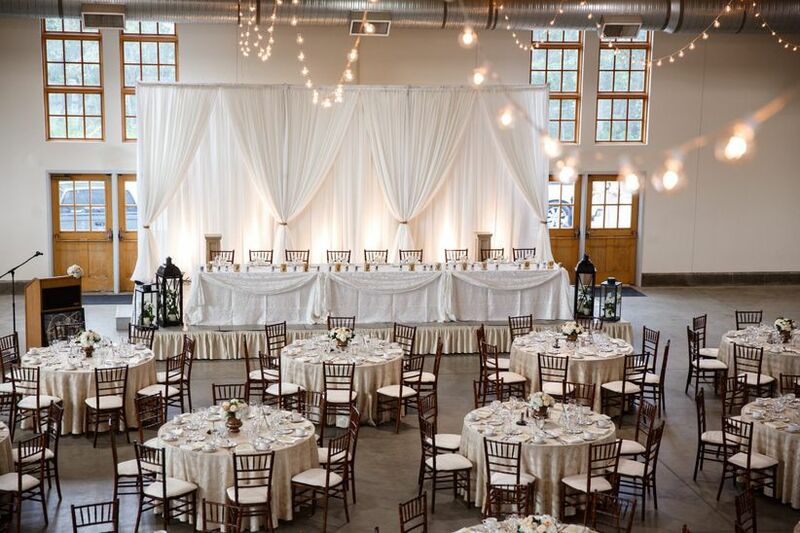 From candelabra and lanterns to swanky chandeliers and accent lighting, you can rent just about every style for your wedding day. You’ve probably spent a lot of time labouring over which flowers to use for your aisle markers, altar and centrepieces, but have your thought about what you’re putting them in? If your florist doesn’t supply vessels you’ll need to look into finding vases and pots to fill with glorious blooms on your big day. This is another one that’s only necessary for particular venues, usually ones in more rural and rustic settings. 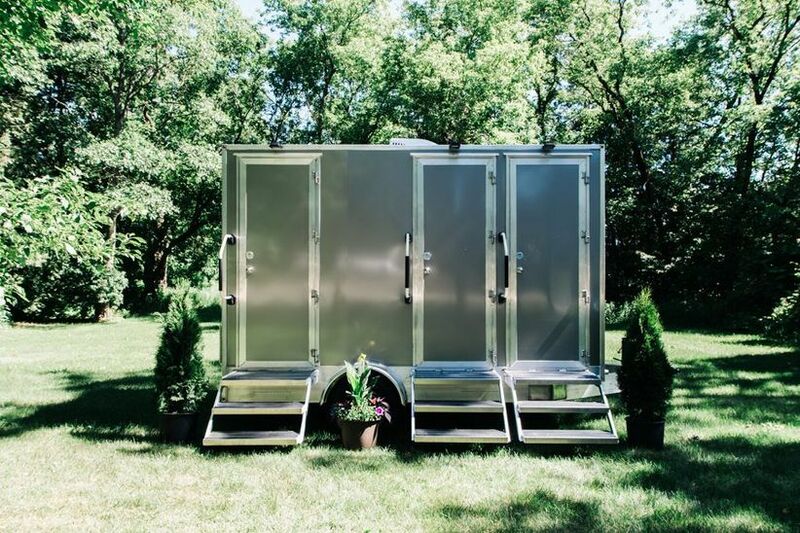 If your wedding location isn’t equipped with enough (or any) restrooms for your guests, you’ll need to look into renting portable options.